Adam Housley recently left his job at Fox News. 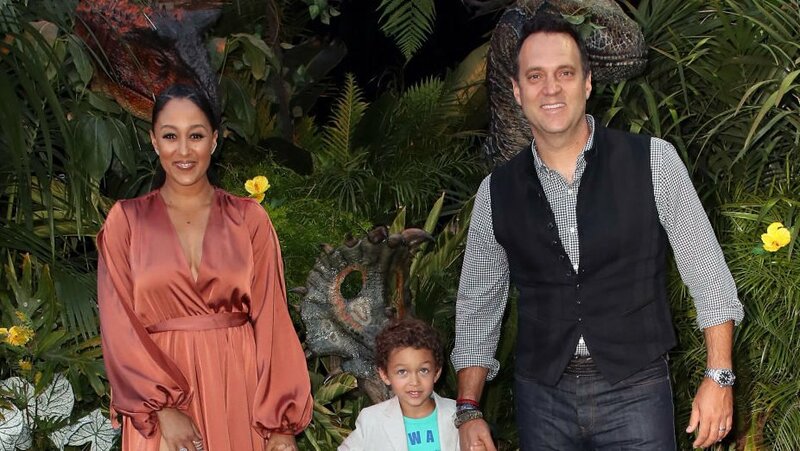 Tamera Mowry-Housley is speaking up for her husband amid allegations that he’s a racist. The Real co-host took time to get everyone together about her husband, Adam Housley, who has come under fire for working for Fox News. Although her hubby of seven years recently left his post as an anchor for the right-leaning news network but that hasn’t stopped some fans from accusing him of racism. “There are some people that think my husband is racist because he works for a certain channel. I’mma look in that camera right there and let everybody know – my husband is not racist,” she said on The Real. Tamera went on to explain the reasons for his departure from the network. “He’s not doing the type of journalism he wants to be doing, and he is unhappy with the tone of the conversation of the channel,” she said. Adam Housley released a statement of his own, highlighting his departure from Fox News. “I could not be more proud of the journalism I did at the network, from war zones, to tsunamis, to watching miners pulled from the ground in Chile, I am grateful for the extraordinary opportunities to have a front seat to history and cover news all over the world,” he said. This isn’t the first time Tamera Mowry-Housley has been forced to defend her relationship with her husband. She has been slammed in the past for marrying a white man and even received criticism for praising his collard greens. She has spoken out several times about racist comments she received from fans who have called her a “white man’s whore” among other things.